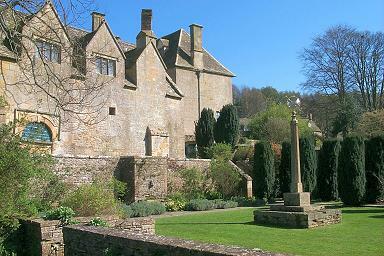 Snowshill Manor is in a small village of the same name near Broadway off the A44. 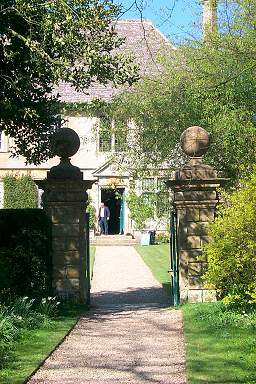 It is now owned and run by the National Trust, so remember to bring your membership card if you are a member. 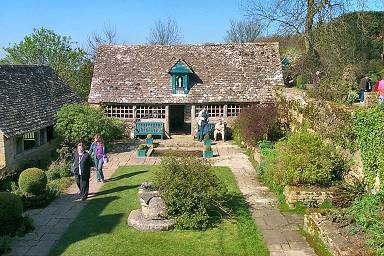 Snowshill Manor was the home of Charles Paget Wade, a collector of crafts and artifacts. However, as you are not allowed to take pictures of the collection I will focus on the lovely organic garden on this page. I visited it in April 2002 on a sunny spring day. 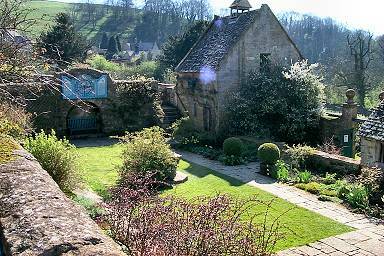 The garden is arranged into a series of small "rooms", each a little bit different. Very nice to just sit down and relax. 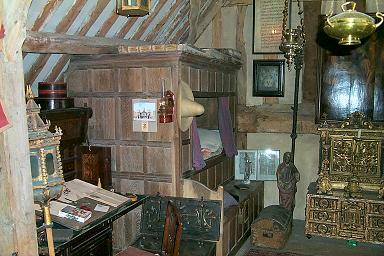 You can also visit Charles Wade's cottage (bottom left) with some of the inventions he used to equip the rooms including a heating system. 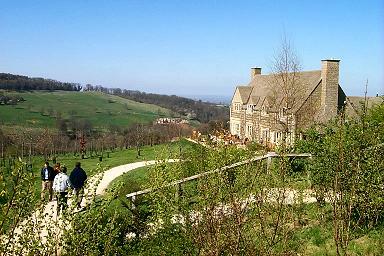 Finish your visit with tea and clotted cream scones at the restaurant (bottom right) and the excellent view over the valley.